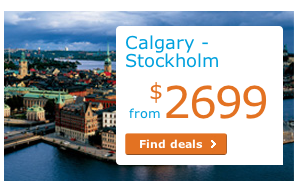 I Fly Calgary: KLM Flash Sale - Fly Business Class between Calgaryand Europe from $2699 all in! KLM Flash Sale - Fly Business Class between Calgaryand Europe from $2699 all in! This business class offer needs to be booked by December 6th for travel between January 11 and April 30th. You can book this offer online right here.